Great news! I will contact my retailer pronto!! Thanks a lot for the info Matt! This kind of customer support sure is fantastic! Is thi8s for all Islands? Mine is a 2012 model which I purchased second-hand - do I still qualify for the updates? These are nice changes. Ordered mine this morning. My original keep out lines apparently twisted the amas just enough to make those old ama locks come loose. Looking forward to the extra security. I stuck a pool noodle in the front of the furling drum to deal with the line snag issue. Thats a big one the more sails you add. Looking forward to a more finished solution there as well. Yes all V2 Islands are eligible... new, used, second hand...free upgrade. Excellent! This is why Hobie is a top rated company. 1 - Can we goto any Hobie dealer? 2 - Is there a running list of all the updates that have been offered at no cost? Any dealer can get these for you through warranty. These are the only current updates being offered specific to Islands. 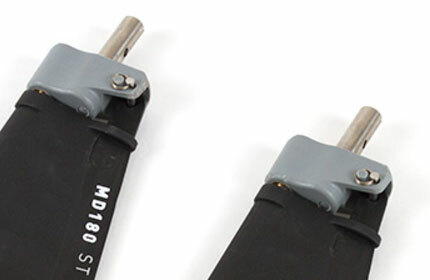 We also have an update to MD180 drives if it is a new boat. Request via warranty from your dealer. We have made a change to MD180 fins, masts and booms to help fin durability and replacement. This is a running change. Kayaks have been shipped with the new fin version. V1 and V2 mast, fin and boom parts are not interchangeable. The new "V2" version removes the adjustment thumb screw from the clew attachment. The fin adjustment is now a screw at the mast head (Similar to the Eclipse flow fin). The boom is modified to accept the new fin with a simple clevis pin and ring connection. 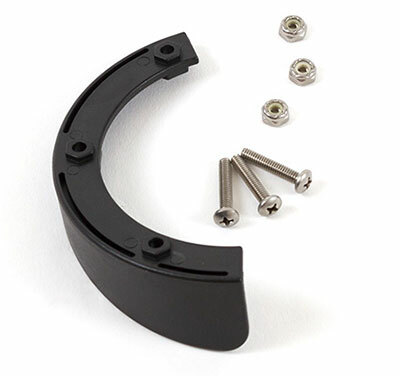 The "V2" brings us back to a known simple clew attachment which allows tool-less fin removal. Old version fins, Turbo kits, and booms are no longer available (we have V1 masts). If a V1 fin, or boom needs to be replaced... warranty (with claim) would send a complete update kit, including instructions, at no charge. Be aware that, as before, we are somewhat short on these parts as the factory is using all available parts for production. At last. My Hobie dealer has shut down since I bought my AI2, so who do I get my Upgrade from? Great news Matt, thanks for keeping us updated! Is the MD180 update free too?